Team WR highlights 21 women who are changing the world through running. These 21 awesome women made Team WR’s 2017 Game Changers list. Read on to discover how each is changing the world through running. When Gabe Grunewald crossed the finish line at the U.S. outdoor championships this past June, the other 1,500-meter runners circled around her and said a little prayer of well wishes. The 31-year-old middle-distance runner was undergoing chemotherapy at the time to treat adenoid cystic carcinoma, a rare cancer that was recurring for the fourth time. The national meet fell during one of her off weeks of treatment, and the emotions on Grunewald’s face as she plowed down the homestretch were met with enormous crowd cheers. The running community was lifting up one of its own as she ran across the line, about to face another round of aggressive infusions. That was on June 22. On July 12, Grunewald announced via Instagram that her body did not respond—“at all”—to chemotherapy. The cancer survivor was now looking at immunotherapy as her next option to beat the disease again. She explained how she would be working with one of the best doctors at Memorial Sloan Kettering Hospital in New York while undergoing the alternative to chemo. However, it wasn’t just the devastating update that pulled at the heartstrings and grabbed headlines. 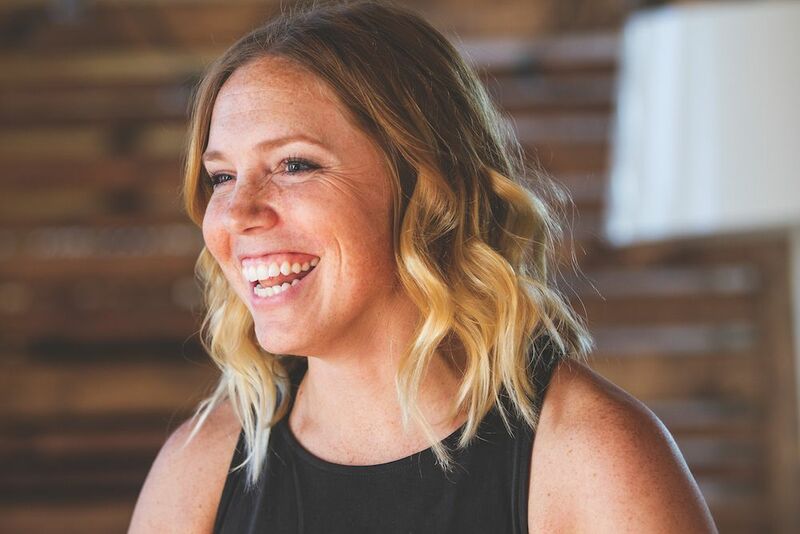 It was also the way Grunewald chose and continues to choose to share her own story—with optimism, unwavering strength and an uplifting message about fighting for your best life. Instead of skipping the national championships, Grunewald finished her season and competed, and she has big plans to continue in 2018. She still runs regularly—sometimes right after spending hours at the hospital for her infusion. Despite being dealt a terrible hand—for the fourth time—Grunewald is making the most of it. Across her abdomen, Grunewald bears a scar, the aftermath of a surgery to remove a cancerous tumor from her liver in August 2016. The prominent reminder of the hell she’s been through is one she wears proudly, saying it’s promoting “scar positivity” for others who have scars due to treatment. But the 13-inch strike across her middle isn’t just a physical symbol of what she’s been through, but how she goes through it—with strength, vulnerability and bravery. On a Sunday afternoon during a marathon training run, Kelly Herron went to use the restroom in a public park in Seattle. What happened next was horrific: A man, who was hiding in one of the stalls, attacked her while she was at the hand dryer. Herron fought back hard—and survived. Her employer had offered a self-defense class just three weeks prior, and Herron says the skills learned there are partly what saved her life. Her story rippled through the running community, with thousands of people from around the world reaching out to tell her she was a hero for surviving. “Running as a vehicle for social change” is the mantra of Alison Désir’s Run 4 All Women team. Created earlier this year in response to America’s vitriolic political atmosphere, Run 4 All Women began as a single running event from Harlem, N.Y., to Washington, D.C., in the days before the presidential inauguration. That first team effort raised more than $100,000 for Planned Parenthood and has since expanded into a global movement that empowers women to demand equality, respect and recognition. Team USA cleaned up at this year’s world championships, racking up 30 total medals across all events. There were many performances that left people shocked in great ways—and topping that list was the unbelievable women’s steeplechase final, where 2016 Olympic bronze medalist Emma Coburn captured the gold against a deep field that “had run much faster than me all year.” And Courtney Frerichs, who ran a massive 16-second personal best, captured silver, holding off the Olympic bronze medalist by less than one second. The stack of historic marks made in that single 1–2 performance was staggering. Coburn’s world win was the first ever for American women in the steeplechase, as well as the first for any American, man or woman, since 1952. She set a championship meet record and broke her own American record by five seconds. And getting gold and silver together hadn’t been done by Team USA in a distance event—at the Olympics or here—since 1912. 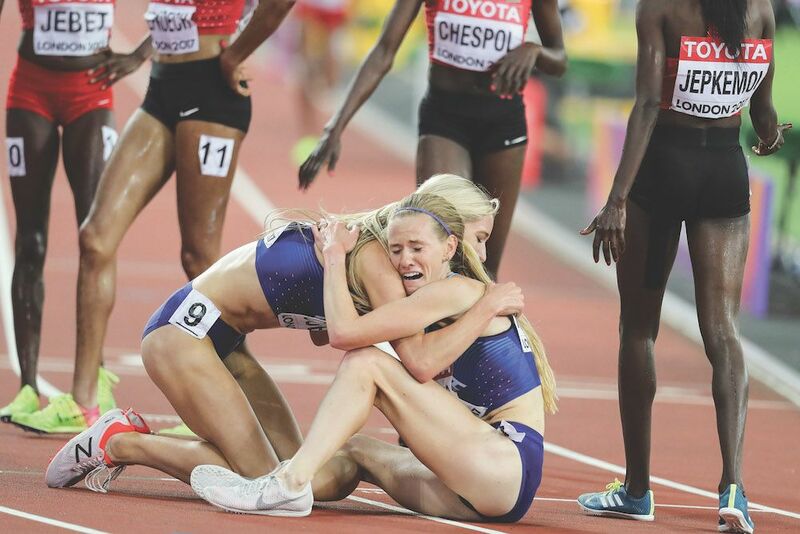 The duo fell to the ground in a heap of sweat and emotional tears at the finish, hugging on the track for long enough to make America cheer and cry right along with them. Coburn said, “[Courtney] was so tired, she kind of started to fall down, and I wasn’t strong enough to hold her up, so we both went down to the ground. But I wasn’t finished hugging so I ended up kind of tackling her and we ended up lying there for a few moments and just both feeling really grateful.” That image of pure elation quickly became the image of the meet, reminiscent of Shalane Flanagan and Amy Cragg at the line of the Olympic Trials Marathon last year. 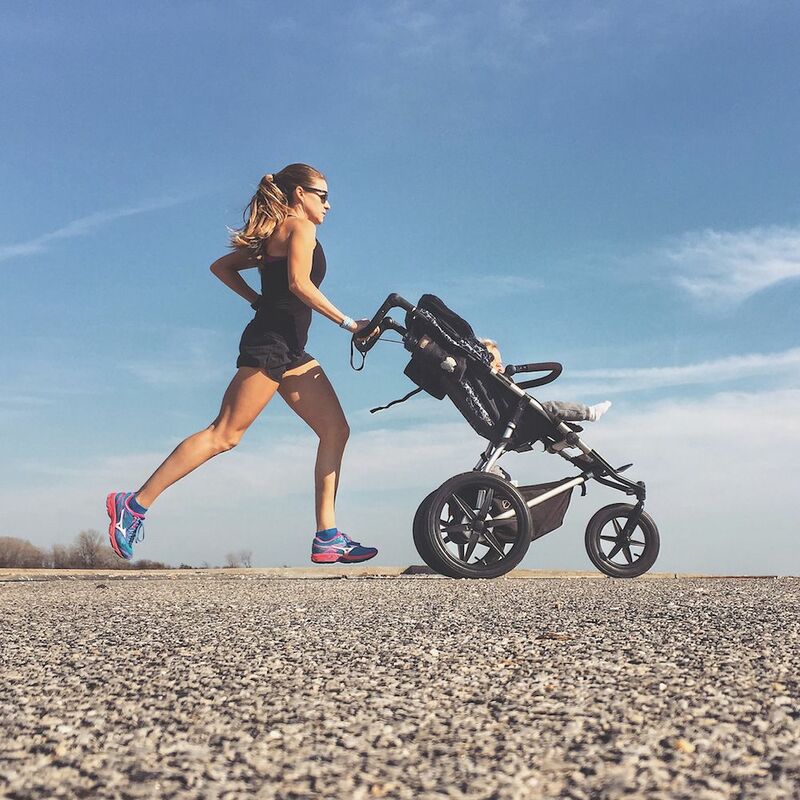 When elite runner Tina Muir announced she was quitting competitive running to start a family, there was more to the story. 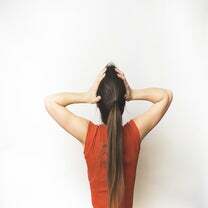 Muir hadn’t had her period in nine years, a condition known as amenorrhea. “[It] is far more widespread than I think anyone realized, and it is something that many female runners are concerned about but often feel embarrassed to say anything,” Muir says. At the time, she had no idea how impactful her announcement, which she shared via video on her blog, would be on the female running community. Her story was shared around thousands of times, with other runners coming forward with their questions about missing periods and applauding her for making the hard choice to quit the sport. Following the only medical solution she was given—stop running—Muir shared that she will be working on building a “five-star baby hotel” with her husband. Anticipating that her period could take months to return, then getting pregnant months after that, Muir was pleasantly surprised when she found out she was pregnant just two months after she stopped running, giving those following her story reassurance that a loss of a period does not mean losing the ability to conceive. 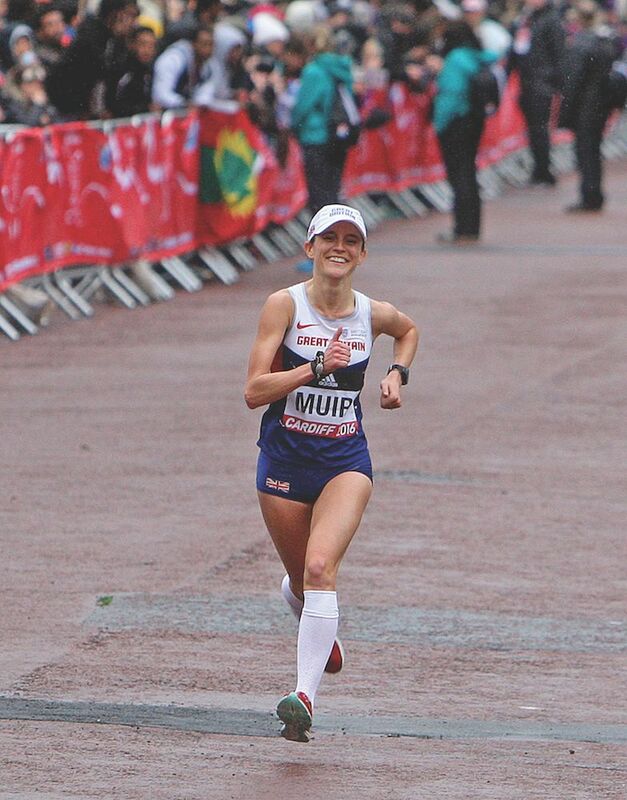 And Muir hopes her story, which she will continue to share, inspires women and their doctors to explore other amenorrhea treatment options more thoroughly so others do not have to give up the sport. Mary Wittenberg has a history of shaking up the running world. This former competitive runner was the transformative force behind the New York Road Runners for a decade. She was responsible for making the NYC Marathon and many other area races more successful than ever, as well as securing major sponsorships for a variety of NYRR races. Her success was noticed by innovative billionaire Richard Branson, who tapped her to be the CEO of his newest venture, Virgin Sport. 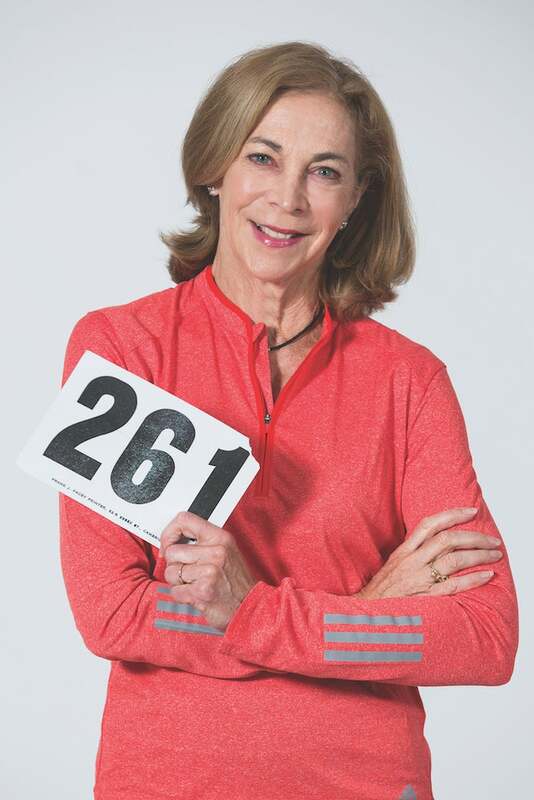 Kathrine Switzer became a pioneer in the running world 50 years ago—and remains one to this day. In 1967, Switzer became the first woman to register for the Boston Marathon by using her first initial instead of her first name to sign up. Five years before Title IX became law, it was uncommon for female athletes to participate in marathons. But that didn’t stop Switzer. Despite the infamous race director who tried to force her off the course, Switzer finished running Boston, becoming the first officially registered woman to do so. This year marked the 50th anniversary of Switzer’s victorious run. When participants lined up at the starting line on April 17, Switzer, now 70 years old, was among them, proudly wearing the same bib number she’d worn in 1967. Surrounded by the 261 Fearless team (named for her now retired bib number), Switzer finished the race in a time of 4:44:31. This summer, Alysia Montaño showed up to run the 800 meters at the USATF Outdoor Championships—pregnant. Again. 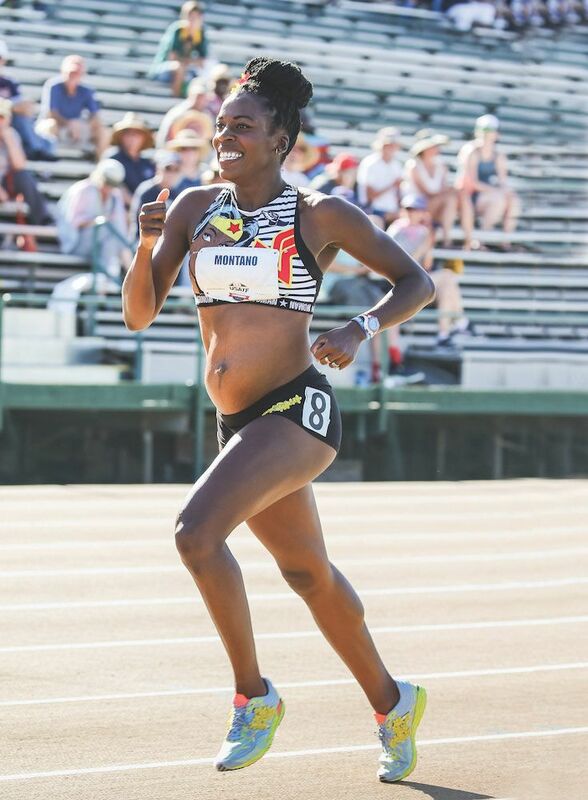 The 2012 Olympian and seven-time U.S. champion sported a Wonder Woman top, colorful flowers in her hair and an adorable five-month baby bump when she raced in Sacramento, Calif. The scene was almost a replay of 2014, when she ran the same race eight months pregnant with her daughter, Linnea—a race that arguably gained her more fame than any of her championships. Bhumika Patel didn’t discover running until 2009. The IBM program manager had been focused on things like getting married, having a daughter, earning her MBA and climbing the corporate ladder before her husband signed her up for a 4K race through his work, hoping it would give her a mental break from everything she was juggling (including losing her father and watching her mother battle breast cancer). She ended up winning the race, and that day gave Patel a purpose beyond herself, her family and her career. When the Bangalore native heard that Pinkathon, a series of women-only running races across India, was coming to her city in 2013, she signed up—and helped recruit about 1,000 women from her IBM office to join her. Patel is now head coach of Pinkathon’s training program in Bangalore, and went on to coach and help visually impaired women from her community who were interested in running. On an exceptionally hot evening in Sacramento, Calif., at the USATF Outdoor Championships, 31-year-old mom of three Sara Vaughn wrapped herself in the American flag and cried happy tears. She had just qualified for her first world team in the 1,500 meters, finishing third. She represented the U.S. at the world championships in London this past August, qualifying for the semifinals in her event. 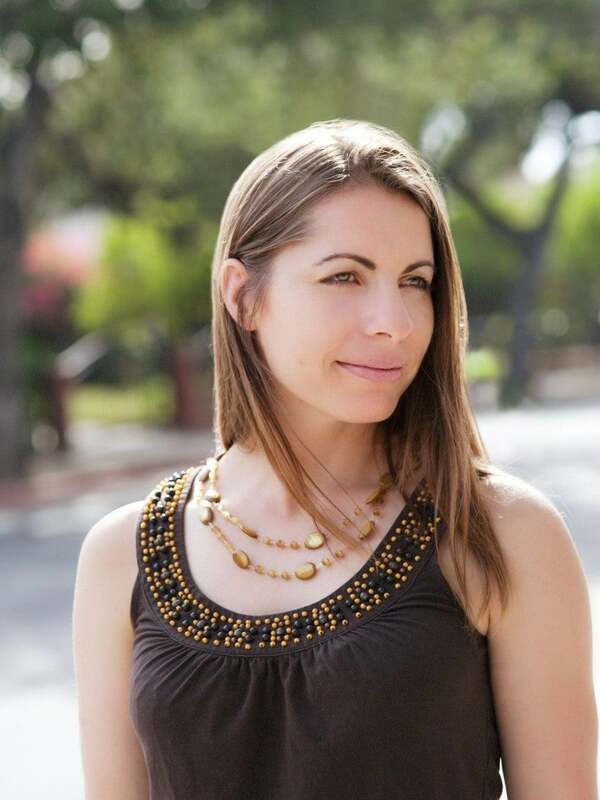 However, Vaughn is not a full-time runner like most others who run at such a high level; she also holds a full-time job as a real estate agent to help support her family. 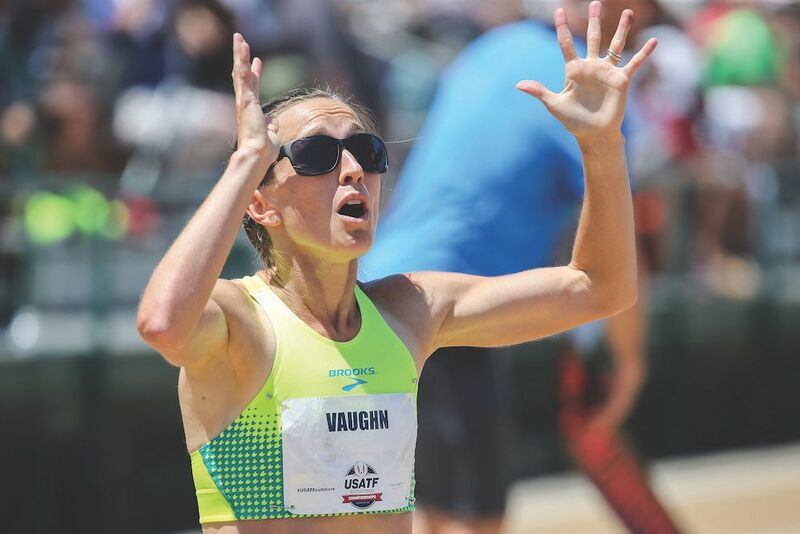 After years of hard work and missing the 2016 Olympic team—she finished seventh at the trials—Vaughn felt it was finally “my turn” to step up and make the world team. Jenna Powers is an ordinary woman with a full-time job and a passion for running. Oh, and she’s also running 40 races this year—including several marathons and ultramarathons. The reason for this project, called “40 Bibs,” is Jenna’s 40th birthday, which she celebrated on Aug. 23. By that date, Powers had finished her 29th race, a half marathon in Orting, Wash.
There’s more to 40 Bibs than Powers’ own racing schedule: She’s also paying for 40 other runners to participate in one race of their choice. 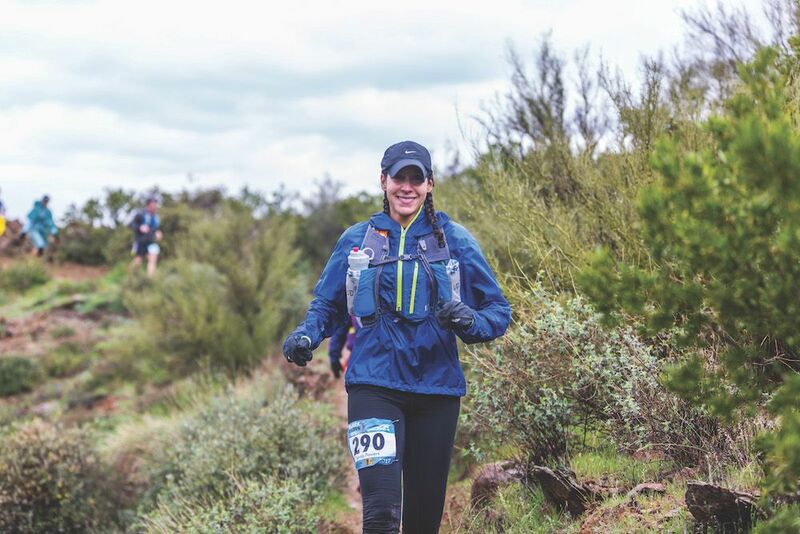 Her blog documents the runners she chooses to support, sharing their stories and photos from their race days. Some of these runners strive to set new personal bests or confront courses that caused problems for them on previous attempts. Others aspire to complete distances that signify deeper, more personal victories. An influencer in the New York City running scene since 2005, Jessie Zapo is dedicated to championing the community building aspects of running. 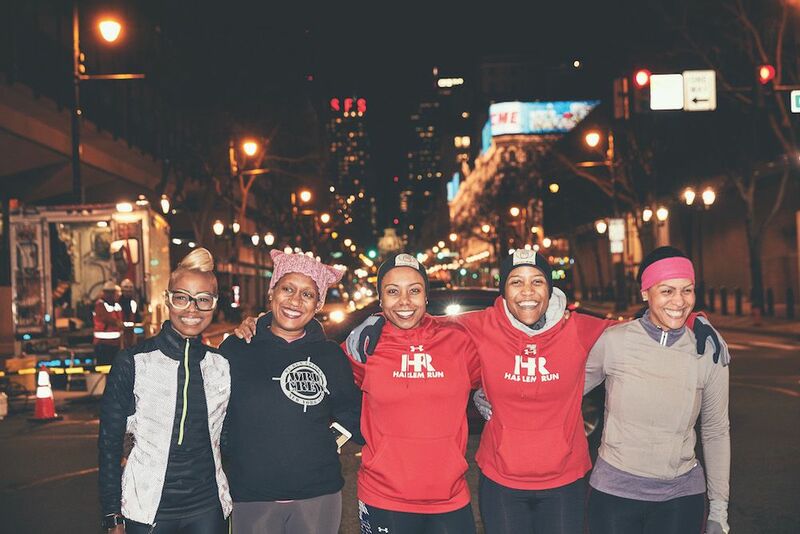 Through various organizations and collaborations, Zapo has been creating space for women and new runners in the urban running community for years. 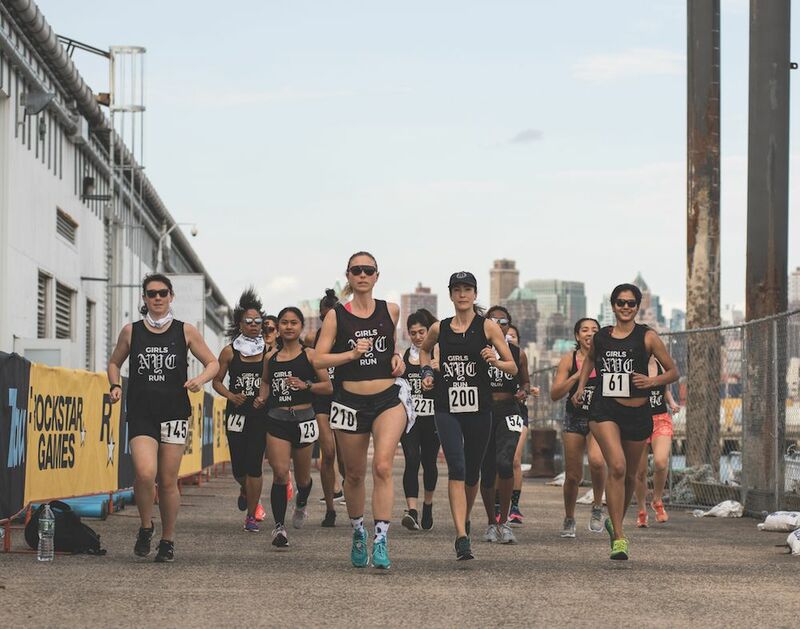 Her current project, Girls Run NYC, is a unique run experience in the city. The women-only weekly meet-up is open to runners from all backgrounds and of all abilities, and focuses on track workouts. Zapo is the coach and organizer for these sessions, which are connecting women from all walks of life together into a supportive community of fellow runners. Those who participated in high school or college athletics will remember how one coach can make or break your experience. 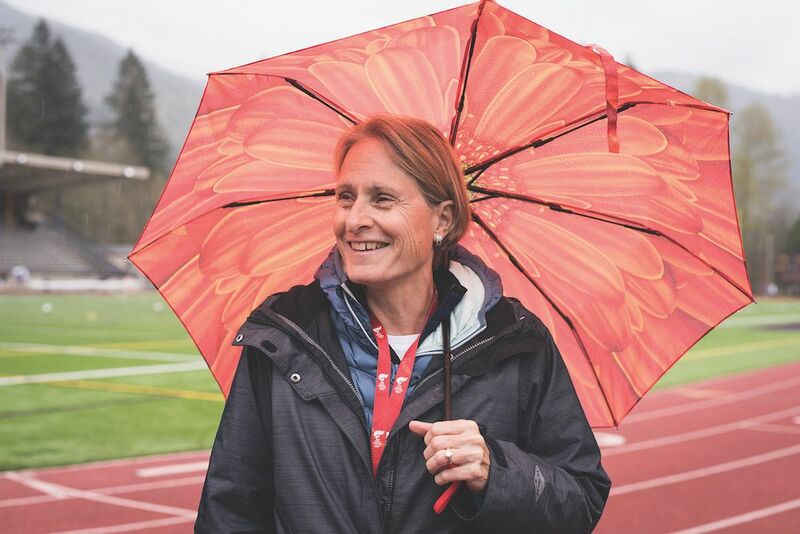 If you have a son or daughter who runs on their high school’s track or cross-country teams—or if you are that son or daughter—you’ve probably heard about Gwen Robertson, a coach at Issaquah High School in Issaquah, Wash. This spring, Robertson was named a Brooks Inspiring Coach of the Year after 33 years of coaching the Issaquah Eagles. Robertson was also named the Washington State Coach of the Year by the U.S. Track and Field and Cross Country Coaches Association for the 2016 season. But Robertson isn’t new to this level of recognition–she’s also a member of the Cross Country and Track and Field Coaches halls of fame. Brooks recognized Robertson because of her decades of dedication to coaching and the simple fact that her dedication has inspired so many of her student-athletes to become coaches themselves (more than 20 at last count!). With high school track and field teams ballooning like never before, coaches like Robertson have the opportunity to impact a lot of kids—and we all could use more of the inspiration and positivity she brings to the track. 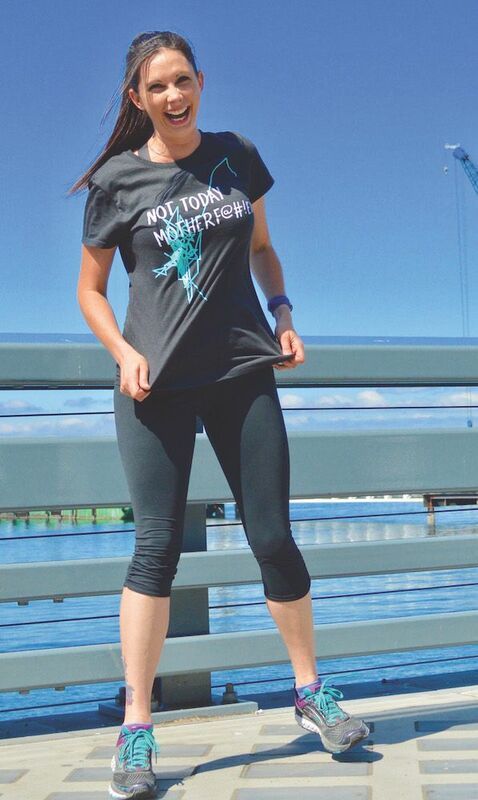 Sarah Clancy didn’t intend to create a brand when she began throwing a runner twist on catchy phrases and printing them on T-shirts. “Everything is ‘Good Vibes’ this or that…I switched it up and made [‘Positive Vibes, Negative Splits’] applicable to runners,” she says. The four-time marathoner also never expected that her elite marathoner names sweatshirt, one of her original designs which features the first names of some of the biggest names in women’s distance running, would launch the brand in March 2016. But when Kara Goucher posted a photo wearing the names, one of them being her own, just two months later, everything changed. In 2018, Clancy hopes to expand her presence in retail stores, as well as launch some new designs. Because believe it or not, she’s still working out of her house! In February, then-26-year-old Kayleigh Williamson crossed the finish line of the Austin Half Marathon in 6:22:57—long after the aid stations had closed up, the roads had reopened and the spectators had headed home. She had a small entourage with her when she earned the distinction of being the first woman with Down syndrome to run in—and complete—the Texas race. Her decision not to get in the sweep van at the race (which happened around mile 4) and instead continue her race on the sidewalk revealed her unwavering spirit to do something few people with her condition have done—run. Since her February finish, articles about Williamson have appeared on ESPNW and Today.com, and a group called Kayleigh’s Club was formed to help disabled runners reach their running dreams with the help of volunteers. 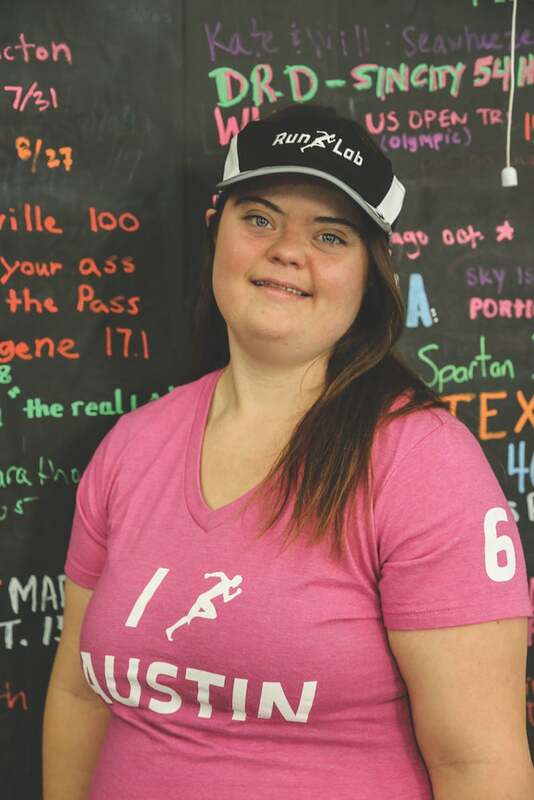 “We hope to grow the Austin special-needs running community through Kayleigh’s Club,” says Kim Davis, D.C., the founder and CEO of RunLab in Austin who oversaw Williamson’s training. Through the group, volunteers from RunLab are paired with disabled runners to help them learn to run within a safe and fun environment. Kayleigh isn’t slowing down anytime soon: She and nine other special-needs runners competed in the Zilker Relay in September, she’ll be the ambassador for a local New Year’s Eve 10-miler and she’s already signed up for next February’s Austin Half Marathon. Reports of women being attacked during training runs or even during races (did you hear about that Ragnar runner in May?) highlight an important issue for which sports brands are trying to find solutions: safety on outdoor runs. 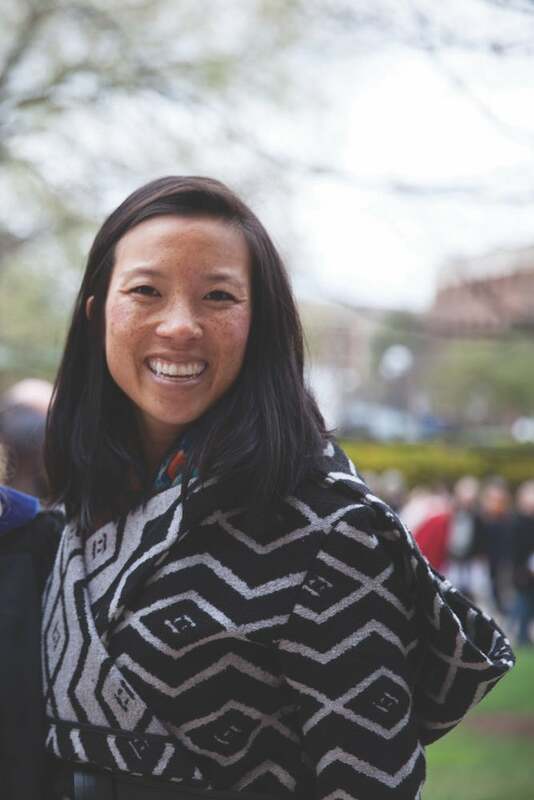 The feature gives not only runners peace of mind, but perhaps more importantly, their loved ones—Hsu, 37, is a runner and has used Beacon to keep both her and her husband worry-free when she goes out on solo runs. “If something goes awry, friends and family will know where you are and can send help if needed,” she says. While safety is an important aspect of the feature, its more fun uses are things like meeting up with friends partway through runs or race tracking. And while the team at Strava will continue evolving to help athletes have the best running or riding experience possible, “safety is and will continue to be a top priority,” Hsu says. Oldest woman to complete a half marathon | Charlotte, N.C. 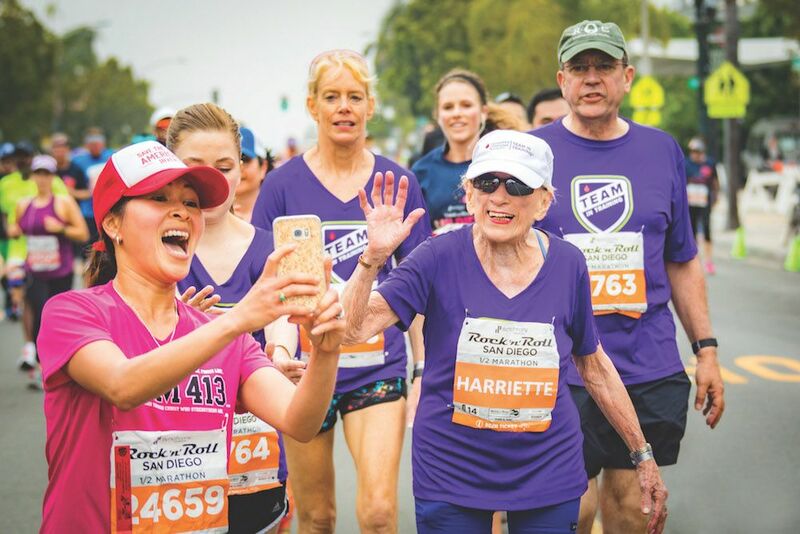 When the late Harriette Thompson ran the Rock ‘n’ Roll San Diego Half Marathon in June at age 94, her family members had to shield her from other runners—not because they were trying to pass her, but because they were trying to sneak mid-race selfies with her. “It’s great inspiration for me to see how much people think I am an inspiration,” Thompson said after the race. “I am getting more attention because I am so old.” That day, she became the oldest woman to ever complete a half marathon, and that came two years after setting the record for the oldest woman to complete a full marathon. Dominique Scott is determined to help girls in northwest Arkansas know the joy that running has brought her. After competing in the Rio Olympic Games for her native South Africa, Scott returned home to Arkansas to learn that one of her mutual friends had an 11-year-old daughter who was excited to become a runner but had no place to learn. Scott discovered that while the area had soccer clubs and gymnastics teams and lots of other sports clubs, there was no place for girls to learn the fundamentals of running until they reached high school. And at the high school level, runners were expected to be up to speed about drills, form and all of the intricacies of the sport. Scott saw an obvious lack of opportunity for middle school girls in the running community and was inspired to create the Dom Squad, a running club for middle school–aged girls who have no other access to run coaching. Scott coaches a group of 15 girls aged 8–12 once a week to teach them the fundamentals of the sport, working on form and technique, warm-up and cool-down exercises, as well as drills and light runs. She also assigns two “homework” assignments each week to keep them motivated and plugged into the routine of running. Scott’s motivation for the Dom Squad is to get girls excited about running and to make sure that they learn the proper way to run and keep them from picking up any bad habits before they start running cross-country or track in high school. Scott’s commitment to sharing the sport with girls who otherwise wouldn’t have the opportunity to receive run coaching is creating a whole new generation of female runners in northwest Arkansas. But Gresla isn’t satisfied with just creating great workout apparel for women of all sizes; she also wants to give back with her business. Every SELA Fit top purchased results in a $5 donation to the nonprofit Girls in the Game, which is dedicated to giving girls the tools to become confident leaders through access to sports. It certainly has. In addition to raising awareness about street harassment statistics, Stop Street Harassment participates in the annual International Anti-Street Harassment Week every spring and unveiled its own national street harassment hotline for U.S. victims in 2016. Kearl regularly appears on panels and in the media to discuss the topic, and has also authored three books on street harrassment in hopes of making a difference.